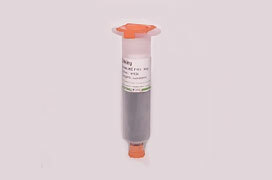 E-linking’s syringes and cartridges are available in a variety of sizes for convenient handling and processing.E-linking offers a wide range of syringes and cartridges that can handle free flowing, low viscosity liquids to heavy, high viscosity pastes. These packaging options are designed for ease of use and accurate dispensing. Syringes are typically used for one component systems and are available in glass or plastics such as polyethylene. Standard syringe sizes range from 3 cc to over 60 cc and are designed to be applied with manual or air actuated automatic dispensers. 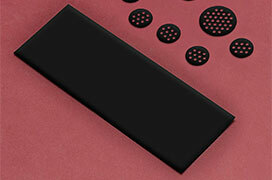 For UV curing applications, they are available in opaque black color. Cartridges are mainly used for two component systems to eliminate the issue of mixing ratios and are generally employed using gun applicators. Both barrier and injection type mixing kits are available for cartridge packaging. 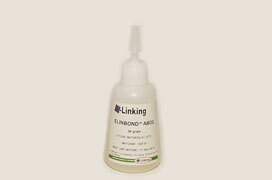 E-linking cartridges are designed to accurately meter and dispense two components in precisely controlled ratios. Disposable static mixers are also available for optimum user convenience. Rugged, durable cartridges are also available for dispensing one component systems. Their sizing varies from 1 ounce to 20 ounces. These cartridges feature different size openings to accommodate fluids with a wide range of flow properties.